This annual award recognizes individuals for their outstanding leadership and unwavering commitment to the prevention of child abuse and neglect. 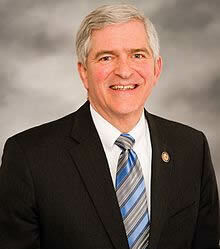 It is named in honor of Congressman Daniel Webster who, as Florida Speaker of the House in 1998, worked tirelessly to pass the legislation that created Healthy Families Florida, an evidence-based child abuse prevention program. 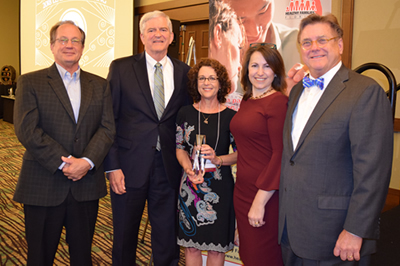 Congressman Daniel Webster and Healthy Families Florida presented the annual Daniel Webster Leadership Award to Carol McNally, former Healthy Families Florida executive director. McNally was recognized for her unwavering commitment to the prevention of child abuse and neglect and outstanding leadership in founding and building Healthy Families Florida. The award is named in honor of Congressman Daniel Webster who, as Speaker of the Florida House of Representatives in 1998, led the legislative creation of Healthy Families Florida, an evidence-based child abuse prevention program. McNally was a driving force behind convincing the Florida Legislature to adopt the Healthy Families model statewide. Her vision included mental health services for the highest risk families. Now that vision is a reality across many sites. Hundreds of families get the treatment they desperately need because of her leadership. McNally's high standards guided the quality and development of the model, inspiring all involved to work their hardest to ensure that Florida's children are safe, nurtured and thriving. Her determination set the pace, pushing Florida's system to improve practices for families and establishing Florida as an example of excellence for the nation. McNally's work over 16 years established Healthy Families Florida as the largest evidence-based home visiting program in Florida, and built a rock-solid foundation to help Healthy Families grow into Florida's premier prevention program. Healthy Families Florida is a nationally accredited voluntary home visiting program proven to prevent child abuse and neglect by building on family strengths to promote healthy child development and family self-sufficiency. In partnership with the Ounce of Prevention Fund of Florida, the Healthy Families Florida program has helped thousands of children by empowering parents with education and community support. Since 2009, Daniel Webster Leadership Award winners have included legislators, policy makers, law enforcement officials and community leaders who have demonstrated a passion for and commitment to effective prevention.